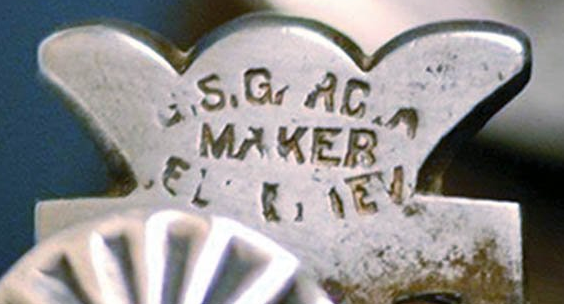 “G.S. 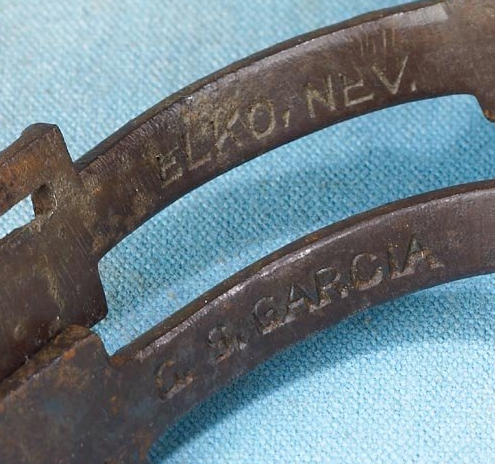 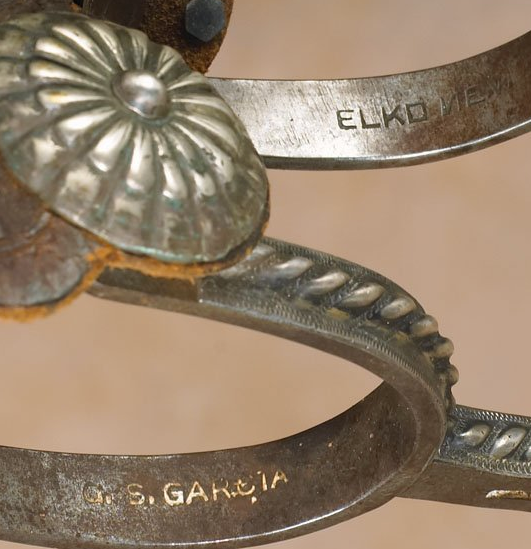 GARCIA” “ELKO NEV.” – This is the mark used while the shop was in Elko, Nevada. 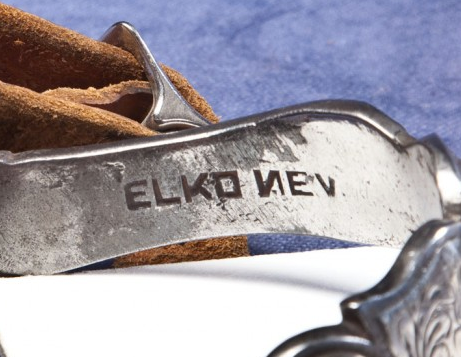 Early on the mark has a backwards “N” in Nev., this was changed around 1910 to a regular “N”. 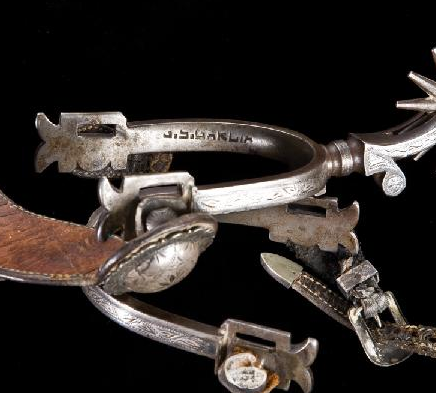 This can be a helpful feature in dating Old Spurs. 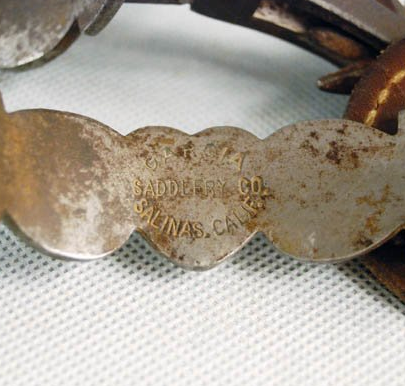 “GARCIA” “SADDLERY COMPANY” “SALINAS CALIF.” – This mark was used by Les Garcia after his father left the company, when his sons moved to Salinas.